I first met Maurice Lévy ten years ago, when he courted my business partner Richard Wayner and I with a handwritten letter. As the longtime head of Publicis Groupe, the world’s third largest advertising and communications conglomerate, he was interested in buying our company, TRUE. Even though the deal was never finalized, we remained on each other’s radar. I have since spent time—and argued—with Maurice in all kinds of cities, including New York, Boston, London, Paris, and Monte Carlo. About five years ago, he started asking me more and more questions about Africa, and specifically about the potential of African markets. I told him that I was about to launch a new media company focused on African youth in Africa and the African diaspora, and he encouraged me to go all out and not be restrained in my global ambition. 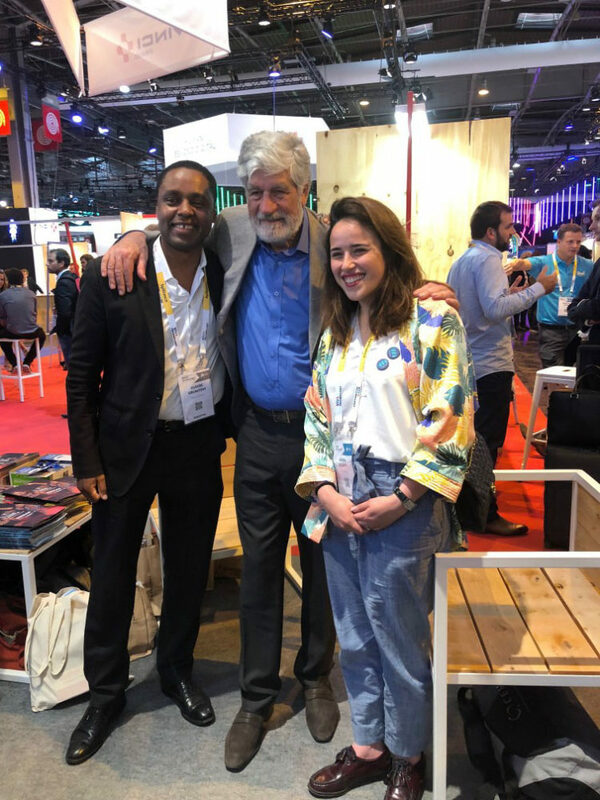 At 76, sporting a new beard, he is now the Chairman of the Supervisory Board at Publicis, a company he joined in 1971, but I have noticed a spring in his step ever since he launched the Viva Technology (VivaTech) conference in Paris three years ago. This year’s edition, of which Maurice is the main architect, pulled in over 100,000 visitors from 125 countries, with 9,000 startups and 1,900 journalists attending. On the first day, after welcoming Presidents Macron and Kagame in the morning, Maurice interviewed Mark Zuckerberg in a so-called fireside chat, where the Facebook founder gave some insights into impact investing, next level philanthropy, and what he’d learnt from Bill Gates. Eventually, Maurice and Zuck did broach the subject of Cambridge Analytica, but that is a conversation for another day. 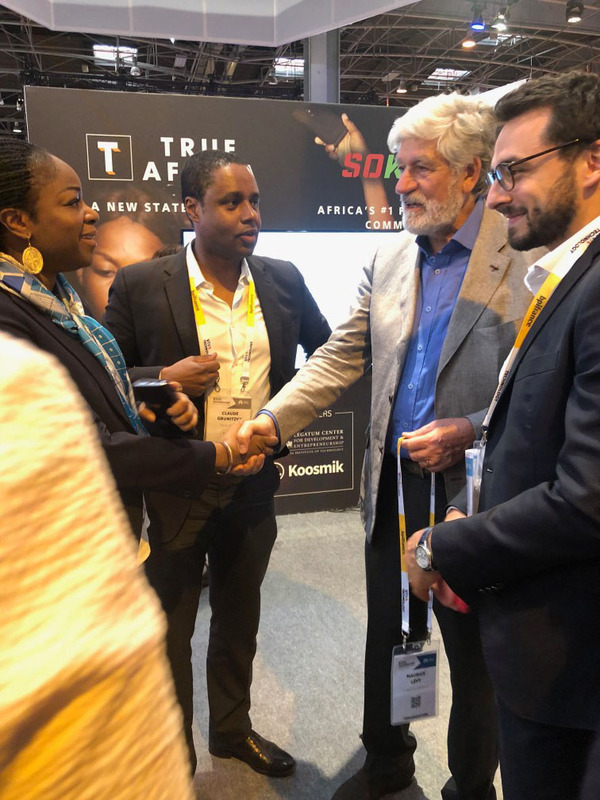 On the second day of VivaTech, it only made sense that I would drag Maurice to the TRUE Africa booth in our AfricaTech section of VivaTech. So good to see you Maurice after all these years. I wanted to speak to you quickly about where Africa is today and ask you why you decided to have an AfricaTech zone to show the public here some of the innovations that are coming out of the continent. You want the honest response? Very pleased to see you again. Long time Claude. The main reason was that I came across a few startups in West Africa and then discovered that there were a lot of them in Ghana, Nigeria, Rwanda and in the French speaking zones. I also felt that instead of always showing the face of Africa which is about basic resources or bad electricity, we should show the face of a young Africa that is full of entrepreneurs and people who have ideas, who want to create and succeed. That was the key reason. I wanted to show a different face of Africa and I’m pleased and disappointed. I’m pleased because we have started AfricaTech, which is great, but I’m disappointed because I know this is only a tiny example of what Africa is all about and I think we could show much more. I think showing something that is massive is what will lead to a change in people’s minds and I think it’s really important to see much more startups and many more entrepreneurs and many more innovations. We often see people from Africa who like to demonstrate what they have done and who want to meet large corporations. The thing is, when you have a startup nowadays you can’t think of the startup as remaining at the level of a village. However, if from day 1 you start thinking big then eventually you will get there. The main thing about African startups is that some of them can also serve very large European and American corporations, so it’s very important that people see them and we don’t miss the point. Africa is a continent of hope, it’s a continent with great potential, with great young people and we should help to change the face and the image that people have of the continent. As somebody who was born in Africa, you were born in Morocco and I was born in Togo, it’s important that we think about, for instance, where [TRUE Africa writer] Zina is from, Nigeria. Just in that one country Nigeria, there are more children born every year than in the entire European Union. The problem is many young people in Nigeria and in other parts of Africa want to come to Europe and I’m thinking there’s so much talent and human capital made up of Africans living in the Western world, but what do you think about the opportunities for those Africans back home? 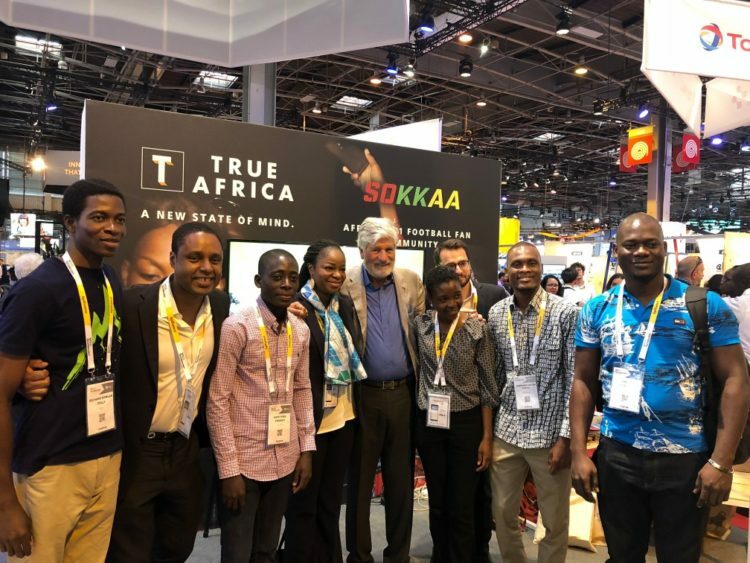 Do you think that opportunities like VivaTech will help them to think about going back home and start their own companies on the continent? Yes, I was born in Morocco and I had the fortune of being able to be well educated and to learn a lot. To your point of repatriation there is an example already around, it speaks loud, it is Israel. At the end of the day this is a country that has been built by repatriates. They are Jews who were in the diaspora and went back to the country simply because they were being killed, harrassed and they had no choice. Albeit by doing this they brought their will to win, their education, their innovation spirit, their fighting spirit and they have built a formidable country. So the repatriation of people who have been educated in Europe or the US and are travelling back to their country of origin, that can only be positive because they have learnt a lot about the Western economies and they can bring that back to their own country.